Cryogels and Related Research: A Glance over the Last Few Decades. Synthesis and Characterization of Cryogels. Production of Synthetic Cryogels and the Study of Porosity Thereof. Fabrication and Characterization of Cryogel Beads and Composite Monoliths. Cryogel Tissue Phantoms with Uniform Elasticity for Medical Imaging. Cryogels in Regenerative Medicine. Biocompatibility of Macroporous Cryogel Materials. Cryogel Biomaterials for Musculoskeletal Tissue Engineering. 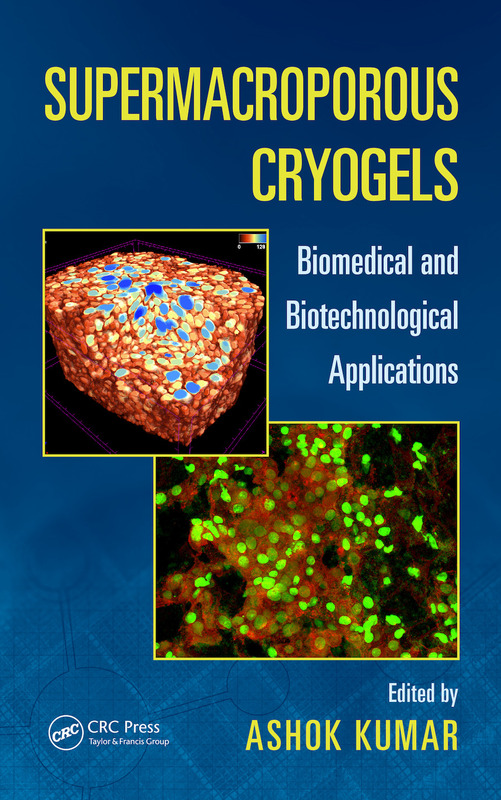 Cryogels for Neural Tissue Engineering. Supermacroporous Cryogels as Scaffolds for Pancreatic Islet Transplantation. Enzymatic Biocatalysts Immobilized on/in the Cryogel-Type Carriers. Application of Cryogels in Water and Wastewater Treatment. Cryogels in High Throughput Processes. Cryogels: Applications in Extracorporeal Affinity Therapy. Cryogel Bioreactor for Therapeutic Protein Production. Supermacroporous Functional Cryogel Stationary Matrices for Efficient Cell Separation.